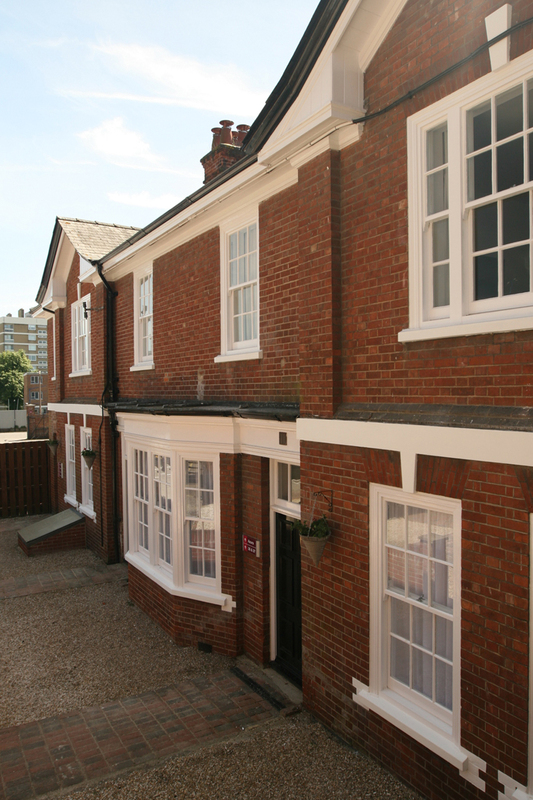 The conversion and refurbishment of Lodges 1-3, located within the grounds of the Mercure Dolphin Hotel in Southampton, was carried out for Avandia Investments Limited in 2013. Alex Coleman Associates prepared and submitted a planning application for a Change of Use from C3 (Dwellinghouses) to C1 (Hotels), following which the practice undertook the work required for Building Regulations approval, in collaboration with Greendoor Building Control and Specialist Services, acting as approved inspector. The three lodges had been unoccupied for around ten years when we were instructed to oversee their complete refurbishment in January 2013. The building, while not listed itself, is in very close proximity to the Grade II-listed main hotel building and as such the brief required a sensitive response carried out in consultation with the Conservation Department at Southampton City Council. The site area is 4200 sq.m and mainly occupied by the hotel car park. The lodges building is located along the south-west boundary facing the car park. 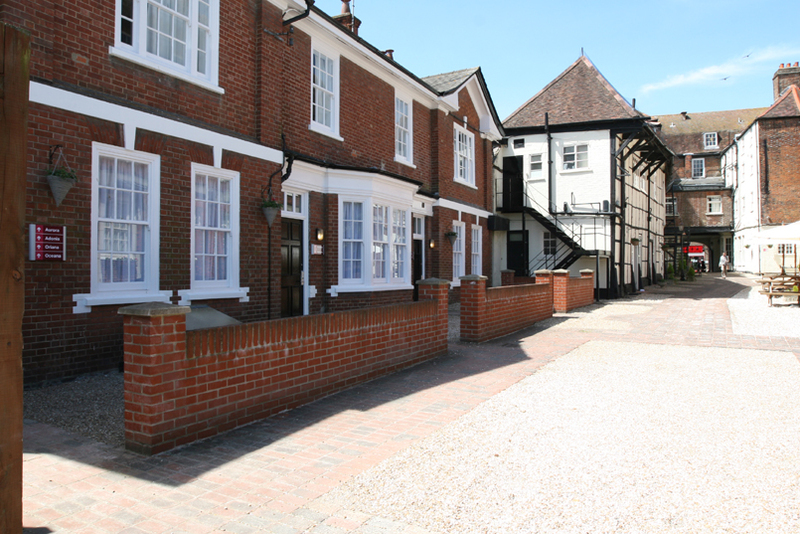 Split into three separate dwellings of two floors each, the building had fallen into disrepair and had been vacant since its last use as accomodation for hotel staff. The building is of traditional construction with solid red brick external walls and a pitched slate roof. The brickwork was damaged in many places with some major cracks having opened up, particularly through door and window lintels. Guttering at high level and downpipes in a number of places had failed and rainwater staining and damp was seen to be a problem. The door thresholds were not DDA/ Part M compliant and the interiors also failed to meet current Building Regulations standards in a number of respects.